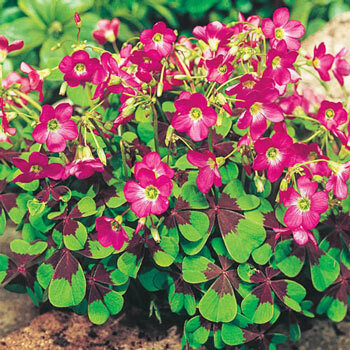 Soft, green, heart-shaped leaves feature a delicate purple marking in the center. Dark, pink-carmine flowers will bloom all summer long and show wonderfully in partial shade, though will tolerate being in full sun, even during hot, humid summers. Zones 3-10. Lift in fall in areas with severe winters, otherwise protect with a layer of mulch. 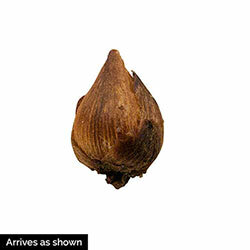 Planting Instructions: Plant in sun or partial shade 3" deep and 3 - 6" apart. Soil Requirements: Moist, fertile, humus enriched soil. Winter Care: Lift in northern areas with severe winters, otherwise provide layer of mulch for winter.